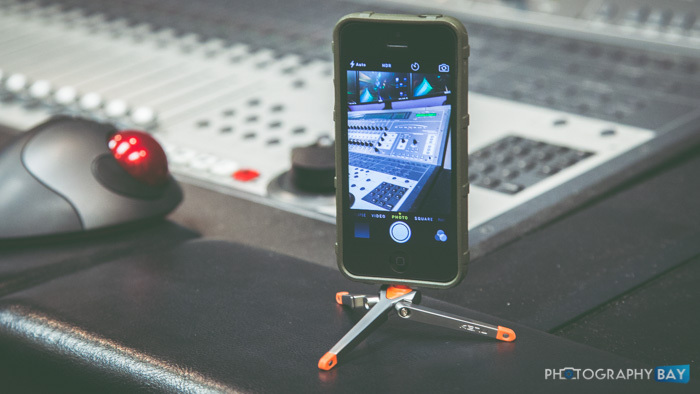 The Kenu Stance is a compact tripod for any iPhone using the Lightning port, including the new iPhone 6 and iPhone 6 Plus. 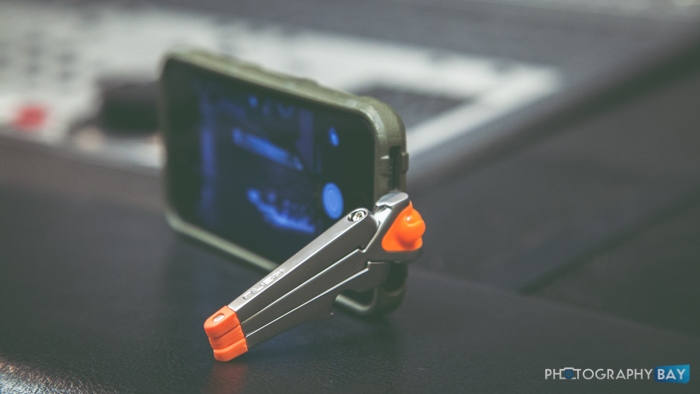 The Stance is small enough to easily fit into your pocket when folded up – about the size of a Wrigley’s 5-pack of gum. It has a small, plastic ball head with a male Lightning port adapter on top that inserts into your iPhone’s Lightning port. There’s also a bottle opener on one of the legs. 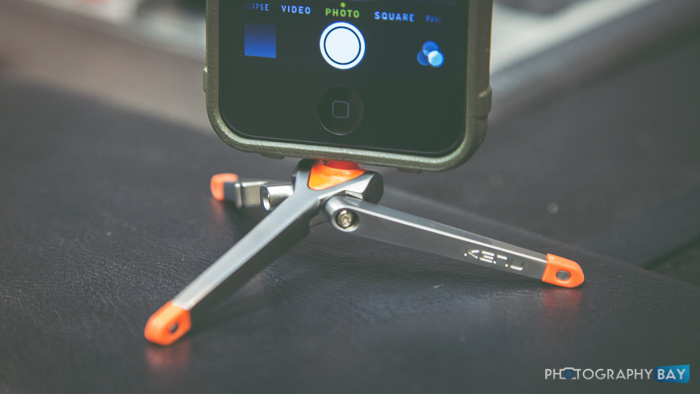 If you want to position your iPhone vertically, you just unfold the legs and stand it up like a tripod. 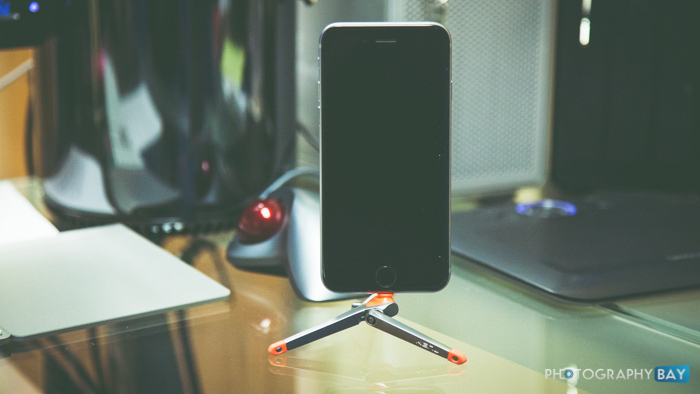 If you want to position your iPhone horizontally, the Kenu Stance works more like a kickstand but you can still adjust the angle by moving the ball head into position. 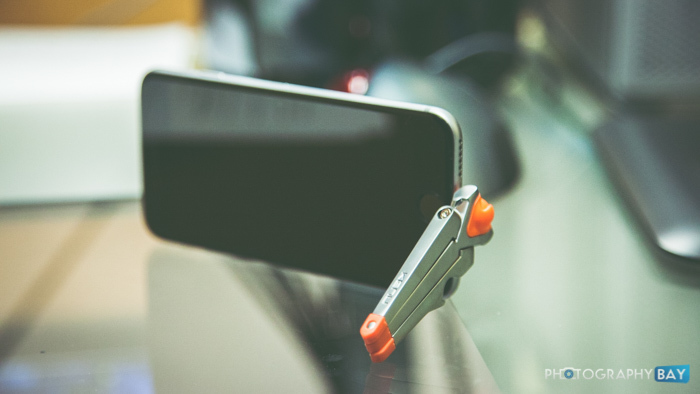 Kenu markets the Stance as a pocketable tripod for selfies, group shots or timelapse shoots, as well as the obvious use as a kickstand for watching videos on your phone. It’s easy to see the utility and the portability of the Stance. For the size and weight (about an ounce), it’s a handy little tool that you can carry with you in your pocket every single day. It works great with no case on your phone. Even if you have a case on your phone, it works just fine in most cases (see what I did there). However, I do have one case that has a pull-out plug for the Lightning adapter, which interfered with a secure mounting of the iPhone onto the Stance. Chances are that it will work with your case; however, if you have a uniquely small opening for the Lightning port in your case, then you will want to take a closer look a the fit before you purchase the Kenu Stance. The Kenu Stance runs $29.95 and is available here on Amazon.com. Good grief… are you looking at my browser tracking history? I don’t remember where I first heard about this Kenu Stance, but I bookmarked it for future reference knowing I would be getting an iPhone 6 (which I recently have). While the price-point is higher than I would like I’ve been very impressed with everything I’ve read about it. I don’t use a case with my phone, so that’s not a worry, but it also means I don’t have a case with a built-in kickstand. The Kenu’s size means it’s very pocketable and I love the idea of using it for FaceTime chats with my parents as holding the phone for extended periods of chatting gets a bit tiring. Heck… maybe I’ll get mom and dad one too!